GRAN BAHÍA PRÍNCIPE COBÁ ES UN HOTEL TODO INCLUIDO UBICADO CERCA LOS DOS KILÓMETROS DE LARGO DE PLAYA AKUMAL. 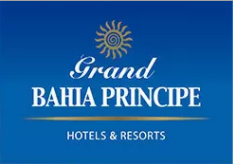 ES PARTE DEL COMPLEJO GRAN BAHÍA PRÍNCIPE, LO QUE LE PERMITE ACCESO A LAS INSTALACIONES Y SERVICIOS EN LOS TRES HOTELES DEL COMPLEJO. EL COMPLEJO ESTÁ A 94 KILÓMETROS DEL AEROPUERTO DE CANCÚN Y A 40 KILÓMETROS DE PLAYA DEL CARMEN. LAS ZONAS ARQUEOLÓGICAS DE TULUM Y COBA ESTÁN CERCA. EL HOTEL OFRECE 1,080 HABITACIONES SUPERIORES Y JUNIOR SUITES CON JACUZZI, DISTRIBUIDAS EN EDIFICIOS DE TRES PISOS. LAS HABITACIONES TIENEN BALCÓN O TERRAZA CON VISTA AL MAR, AL JARDÍN O A LA PISCINA. LOS SERVICIOS EN LA HABITACIÓN EN EL GRAN BAHÍA PRÍNCIPE COBA INCLUYEN AIRE ACONDICIONADO, TELEVISIÓN VÍA SATÉLITE Y CAJA FUERTE. TAMBIÉN ENCONTRARÁS UN MINI-BAR CON REFRESCOS Y CERVEZA, A DIARIO. CARRETERA CHETUMAL-BENITO JUAREZ KM 250 AKUMAL, QUINTANA ROO.